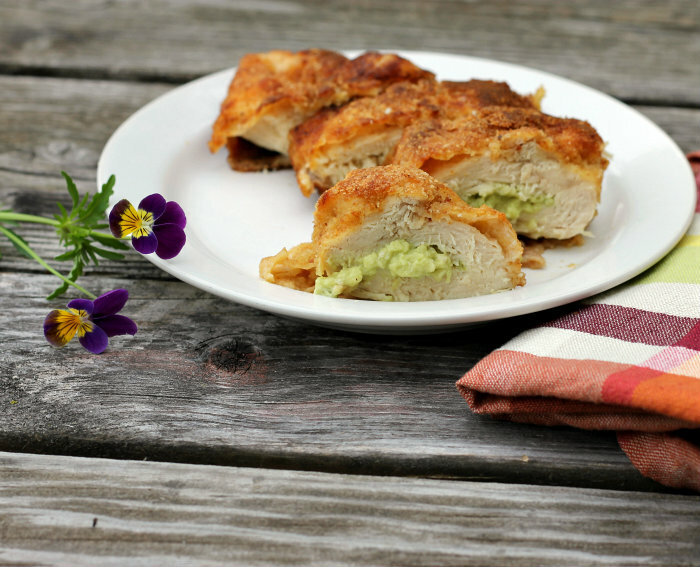 Chicken breast stuffed with avocado, cream cheese, onion, garlic, jalapeno, and mozzarella for a crazy yummy meal. To be honest with you it has not been too many years that I have been eating avocados. Yeah, I would see them in the store but I never had the urge to purchase one. I guess it was because I didn’t have a clue how they would taste. Then a few years ago we were visiting family, at one of the meals guacamole and chips were served. Mike and I both fell in love with the stuff. Since that day forward we have loved avocados. We enjoy making guacamole at home. Mike likes to purchase the packaged mixes to make guacamole, but I prefer to make it from scratch. I even have a recipe on my blog for it. But of late I have been going beyond guacamole and have been experimenting some. I am sure you will see some of these recipes popping up on my blog sooner or later. For now I would like to talk to you about my stuffed chicken breast. I did use avocado in this, but to give the avocado a bit more flavor I added cream cheese, onion, garlic, jalapeno pepper, and mozzarella. I blended all of the ingredients except for the mozzarella in a mini food processor until they were nice and creamy then folded the mozzarella in. I watched a couple of videos before stuffing my chicken breast, so I tried a couple of methods. 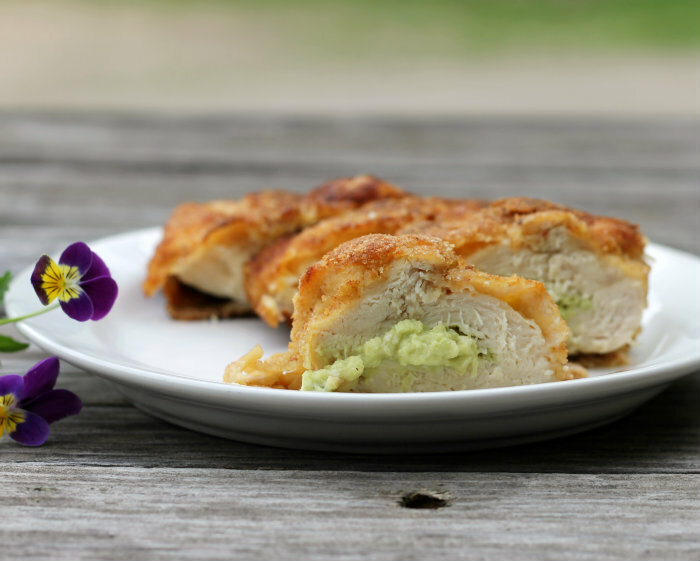 The first method was inserting a knife at the top of the chicken breast and making a pocket. The second method was inserting the knife on the side of the chicken breast and making a pocket from the side. The side pocket had a larger incision than the top one did, so I did prefer the top incision method. Just make sure that you don’t poke the knife through the chicken. But for both of them it is good to use a tooth pick to help keep the chicken together and stuffing in. After stuffing the chicken breast they were rolled in flour, egg, and bread crumbs. I browned them on the stove first and then baked them in the oven until they were done. The one test in house to know if my guys like something is to ask them if I should make it again. This one passed the test, so I am sure that they will be on the menu again. Stuffing- Remove the seed from the avocado and place it in a food processor (I used a mini processor). Process so the avocado is starting to break down. Add the cream cheese, onion, garlic, jalapeno and process until smooth and creamy. Fold in the mozzarella cheese. Place this in a Ziploc bag and set a side. Coating - Set up a working station. In the first dish add the flour, the second one beat the egg with the water, and the third station you will add the bread crumbs. Assembly - Once the chicken breast are ready to stuff and the avocado stuffing is in the bag, snip off the end of the bag. Insert the tip of the bag into the incision of the breast and gently fill the breast. Once completed dredge the chicken breast in the flour, dip it in the egg, and roll it in the bread crumbs. Place the chicken breast on a dish or a pan and place in the refrigerator for 30 minutes to 1 hour. Cooking - After taking the chicken breast out of the refrigerator heat a skillet with enough olive oil to coat the bottom of the skillet. Brown the chicken breast on both sides, until golden brown. Transfer the chicken breast to a baking dish that is covered with aluminum foil and sprayed with non-stick cooking spray. Baking- Bake the chicken breast in a preheat 350 degree F oven for 30 minutes or until the juices run clear and the meat is no longer pink. I’m actually allergic to avocados, but ohmygosh that filling sounds so good! I LOVE LOVE LOVE avocados and this is a really different way to use them. I bet it’s really delicious! 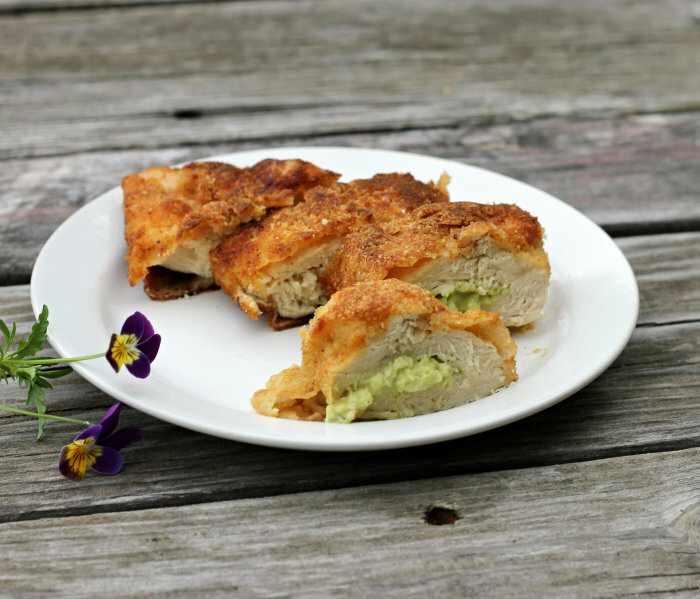 I totally adore that creamy avocado filling! 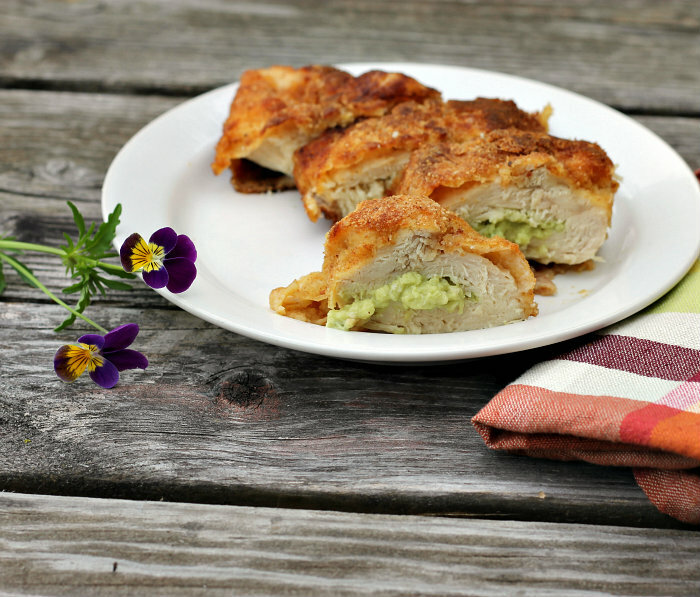 What a creative and delicious stuffing for chicken breasts! These look wonderful Dawn!